Ebooks are available in many different formats, including the widely supported ePub standard. You can read ePub ebooks on Apple iPad, Barnes & Noble Nook, Sony Reader, and Kobo eReader models; Amazon’s Kindle, however, does not natively support ePub, which means that you have to convert the ePub files you own to a format that your Kindle accepts. Fortunately, an elegant, free conversion tool called Calibre can help you out. Here's how to use it. Step 2: Install the program and launch it. In the Welcome Wizard, choose a location for your ebook library, as well as the model of your Kindle. The Setup Wizard will ask you about email delivery of your ebooks; for details and fees, check out Amazon’s FAQ. We’ll explore the free, USB-based method in this article. Managing your ebooks in Calibre. 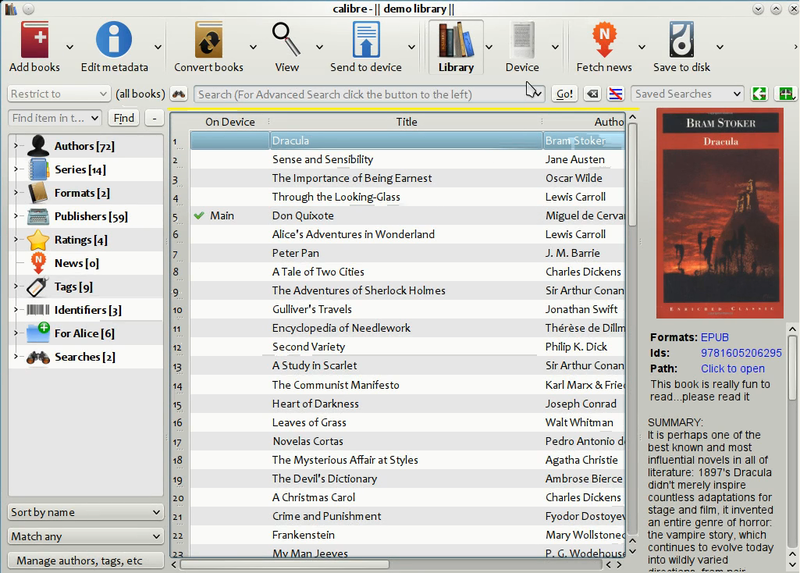 Step 3: Click the Add Books button to import your existing ebook collection to Calibre’s library. Step 4: Connect your Kindle to your PC if you haven’t done so already. When you've made the connection, the Device icon will appear on Calibre’s toolbar. Step 5: Drag the ebook you’d like to read on your Kindle from your Calibre library to the Device icon. Calibre will automatically convert and upload the ebook to your Kindle. Note the progress icon in the bottom-right corner; click it to monitor the progress of the transfer. Not only can Calibre convert .epub files for use on a Kindle, but it can also read and transfer .lit, .mobi, .fb2, .html, .prc, .rtf, .pdb, .txt, and .pdf files. However, Calibre cannot natively convert ebooks protected by DRM. You’ll have to use a DRM-removal tool to modify protected ebooks before converting the files with Calibre.